Rattlesnake Ridge provides service for light, medium, and heavy trucks, along with trailers & RVs. 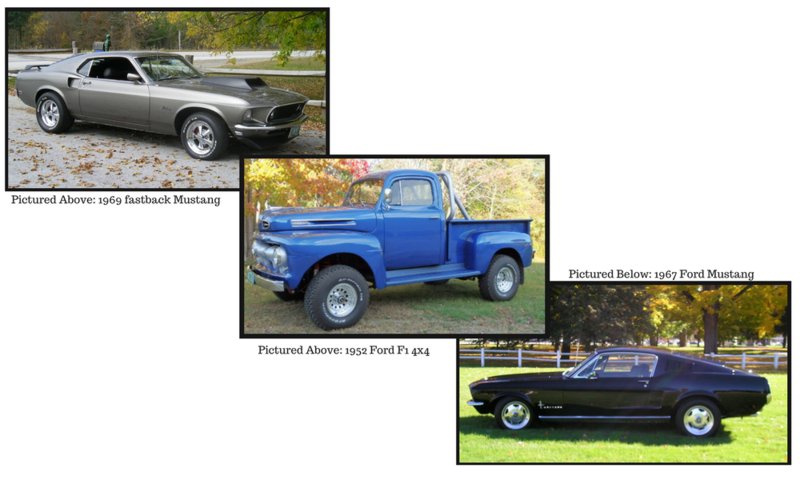 Customers include municipalities, school districts, quarries, farmers, or over-the-road truckers. They provide up-to-date computer diagnostics, as well as both state of Vermont & federal inspections. Rattlesnake Ridge stocks over 200,000 truck parts in inventory to sell to the general public. This makes them a one stop shop for people looking for things from hydraulic hoses to general trucking equipment. 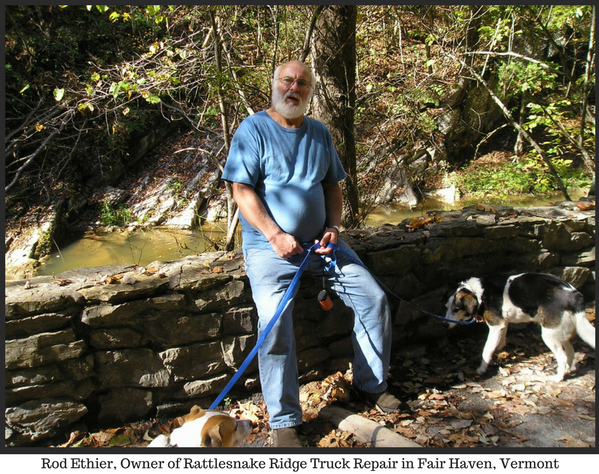 Rod Ethier has owned and operated Rattlesnake Ridge Truck Repair in Fair Haven, Vermont for 19 years. Like most businesses, he has definitely experienced his share of prosperity and hardship during that time period. “I quickly moved up to a 14 cube van, then a 16 cube. Before I knew it, I rented a small garage and had my own shop going. I bought my current building 14 years ago and here I am” he laughed. Upon graduating from high school, Ethier entered the military. He served in Europe and even managed to have a good time and see much of the European countryside by playing on a competitive traveling military softball team. Like most young people starting out, it took Rod a bit to find his way in the world. From Vermont, it was onto a job in Kentucky at a dealership. Then it was on to Tennessee to “a couple of dud jobs,” before heading back to Vermont. Ethier went to work for an International dealership, then a grain company. He also worked at a couple of small garages before the decision to try it on his own. It’s funny how things work out, because now I couldn’t be happier with the size and comfort level of my life in this business. “I always worked for real good people. I’ve known other guys that felt like their employer’s thumb was pressed on the back of their neck and I swore I never would. Of course, my wife does the books and she thinks I have too big of a heart” he chuckled. I always try to help a customer that is having a rough time. It’s no fun being out on the road and broke down. You don’t know a soul. That’s a bad feeling. Nobody is going to pat you on the back for doing a good job. But, if you know you did a good job….that’s what counts. You better be prepared to change as you need to or you will be left in the dust. A special thank you to Rod and Ellen Ethier of Rattlesnake Ridge Truck Repair for allowing us to feature them on the RSVP Shop Talk blog series. If you, or someone you know has a repair shop you'd like to be featured on the RSVP Shop Talk Series, feel free to contact us at Info@HighwayandHeavyParts.com.